through community‐level prevention, case identification and monitoring, and treatment. Read more. 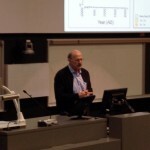 On January 24, 2014 the Neglected Global Diseases Initiative at UBC (NGDI) held its tenth Distinguished Lectureship, featuring Dr. David Zakus, Director, Global Health at the University of Alberta, and a Professor of Preventative Medicine. Prior to joining the University of Alberta, Dr. Zakus was the Director of the Centre for International health and Associate Professor in the Departments of Health Policy, Management and Evaluation & Public Health Services, Faculty of Medicine, University of Toronto. He has knowledge and experience with both non-governmental organizations and institutions. He was previously the President and CEO of Canadian Physicians for Aid and Relief (CPAR), a medium size Toronto based NGO with field offices in three African countries. He has worked in some 20 countries in Latin America, Africa, Asia and Eastern Europe, both as an academic and as a consultant. Dr. Zakus' talk "Global Health: Reconsidering it's meaning and purpose to everyone" was a powerhouse of an overview of the problems and potential solutions facing the world today. 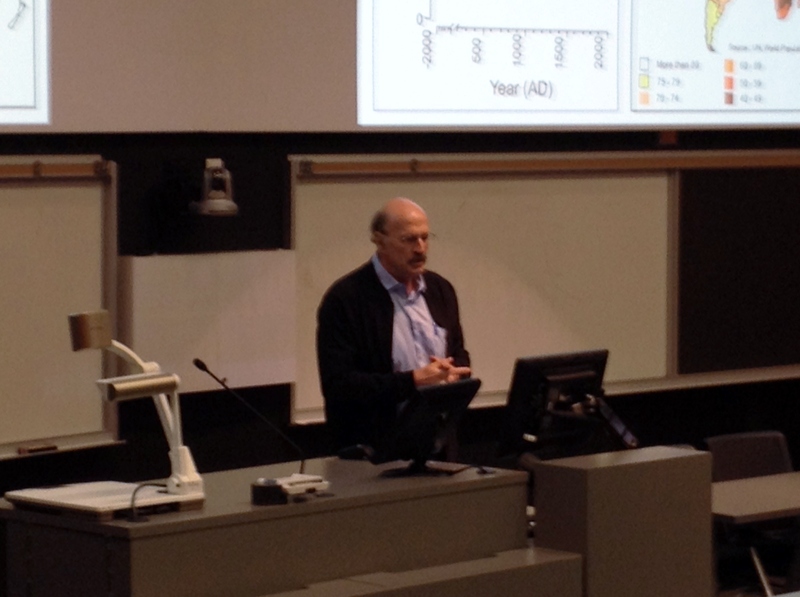 On October 18, 2013, the Neglected Global Diseases Initiative at UBC (NGDI) held its ninth Distinguished Lectureship, featuring UBC's very own Dr. R.E.W. (Bob) Hancock. Dr. Hancock is a Professor of Microbiology and Immunology, an Associate Faculty Member of the Wellcome Trust Sanger Institute and a Canada Research Chair in Health and Genomics. Hancock is also co-founder of the Neglected Global Diseases Initiative and a member of the NGDI Scientific Advisory Board. 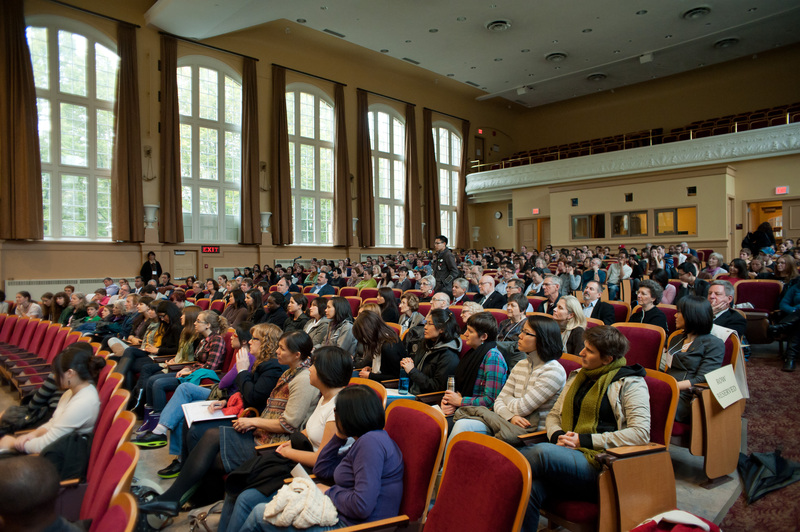 The lecture was delivered to 120 student, faculty and staff members of the UBC community. 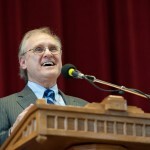 In this lecture, Dr. Hancock posed the question, "What can we as a University community do about the Inequities of Poverty and Neglected Disease?" The fact is, Dr. Hancock argues, when it comes to health, location is everything; where an individual is born and, therefore, one's country's socio-economic conditions, determines whether or not an individual grows to lead a full, healthy life, or dies of infection at a young age. Great turnout for the event! In response to the problem of Neglected Diseases of poverty, Dr. Hancock's research team has pursued research on innate immunity, inflammatory diseases, and multi-drug resistance at the Centre for Microbial Diseases and Immunity Research. 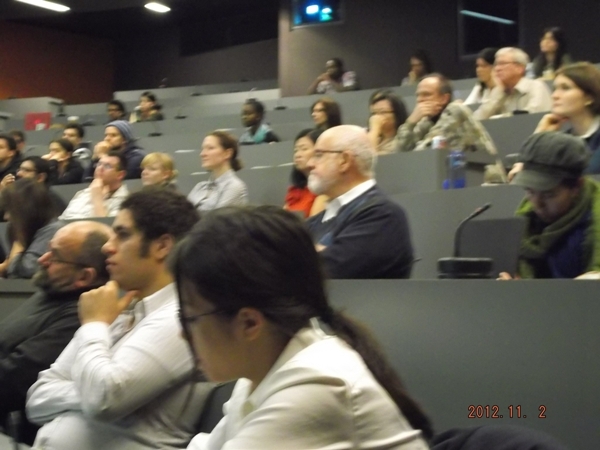 The audience learned about the Innate Immunity Database project (www.innatedb.com), which is a manually-curated database and analysis platforms of the genes, proteins, interactions and signalling responses involved in human, mouse and bovine innate immune response. This database essentially maps immune system behaviour. The unlocking of the secrets to innate immunity could have significant implications for neglected global diseases, because so many of these diseases are drug-resistant and innate immunity has the potential to combat and even protect against this problem. However, the audience also learned about obstacles in the university community that prevent this kind of research from reaching its full potential. "As academics, ten thousand drugs are required to produce one new drug a year," he explained. That is to say, the patenting and approval process of important new drugs for neglected diseases is stalled. Massive amounts of funding is required to see projects through to drug production and delivery because of these bureaucratic obstacles. Therefore, the university community must innovate but we must also confront these economic and political barriers to progressive research and effective delivery. It is this strong belief that the university community has a responsibility and the ability to facilitate these disease interventions that motivates Dr. Hancock's work. Co-founding the NGDI with Dr. Kishor Wasan and his research projects are part of this process. More needs to be done. 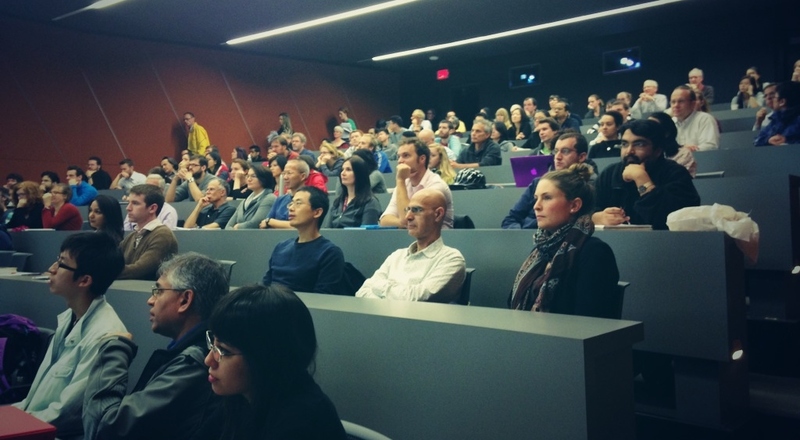 Students and faculty are encouraged to get involved with the Neglected Global Diseases Initiative, The Universities Allied for Essential Medicine UBC Student Chapter to learn more. 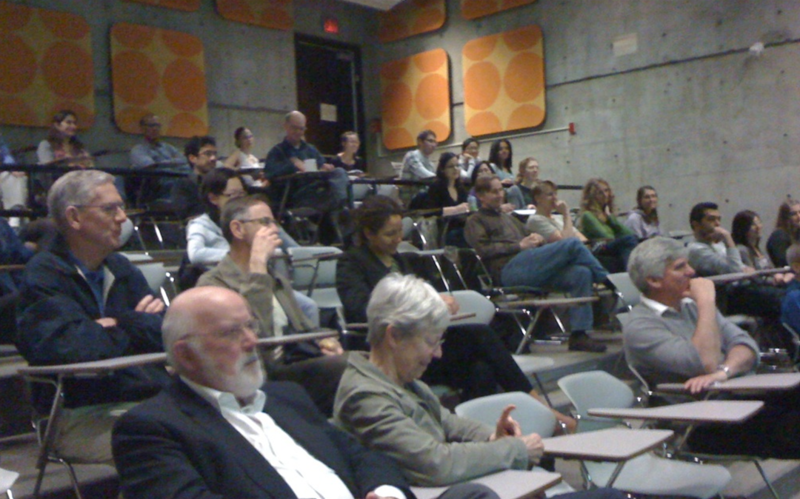 On March 6, 2013, the Neglected Global Diseases Initiative at UBC (NGDI) held its eighth Distinguished Lectureship, featuring Dr. Peter Singer. Peter A. Singer has dedicated the last decade to bringing science and innovation to tackle the health challenges of the world’s poorest people. He is known around the world for his leadership with many organizations that catalyze innovation and creative solutions to the some of the most pressing global health problems. Peter A. 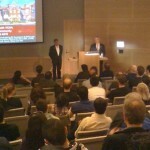 Singer is Chief Executive Officer of Grand Challenges Canada at the Sandra Rotman Centre at the University of Toronto. He is also Professor of Medicine at the University of Toronto, and the Foreign secretary of the Canadian Academy of Health Sciences. Dr. Singer has also played important roles as a chair in the Canadian Academy of Health Sciences’ new assessment on Canada’s Strategic Role in Global health; as an officer of the Order of Canada; and as an advisor on global health matters for various organizations, such as the Bill and Melinda Gates Foundation, the UN Secretary General’s office, the Government of Canada, and several African Governments. He is also co-author of the popular and inspiring book, The Grandest Challenge: Taking Life-Saving Science from Lab to Village. 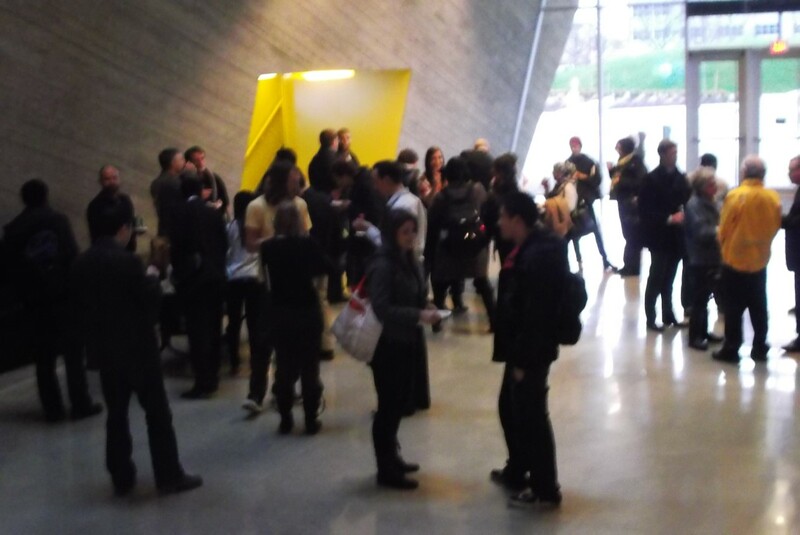 Lectureship attendees always get a nice reception afterward! 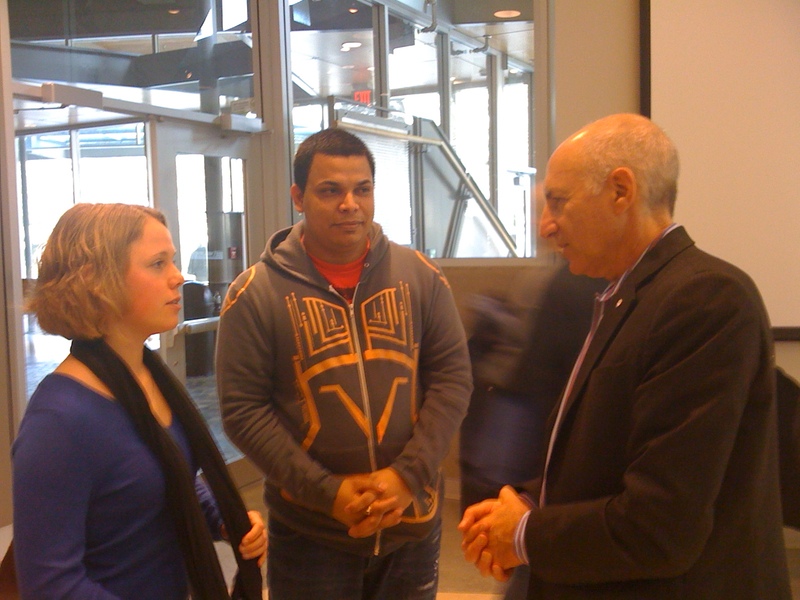 Dr. Singer lectured to about 75 people and focused on Canada’s role in Global Health and particularly in the Neglected Global Disease work. According to the Expert Panel on Canada’s Strategic Role in Global Health, the opportunities for Canada include indigenous and circumpolar health research, population and public health, community oriented primary health-care, smart partnerships in health education and research, and global health innovation. Some of the innovative concepts that Grand Challenges has financially supported and mobilized include the “smelly socks” program implemented by the Ifakara Health Institute and the incredible affordable prosthetics program by Dr. Jan Andrysek at the Holland Bloorview Kids Rehabilitation Hospital. The smelly socks program is designed to work similarly to anti-malarial nets by attracting and trapping and poisoning malaria-carrying mosquitos to a special device that mimics the odour of smelly human socks. Dr. Andrysek was able to make prosthetic lower limbs that cost as little as $50 each for amputees in low income countries who could not otherwise afford prosthetic limbs, which ordinarily sell for thousands of dollars. Approximately 50-70 Canadians are the recipients of the Stars of Innovation program every year.The key areas of focus for Grand Challenges has been on neonatal care for women and children in LMICs, the Saving Brains program for children and infants, the Reverse Innovation challenge and mental health in LMICs. Dr. Singer comments that “200 million children worldwide never reach their full brain potential because lack of stimulation, malnutrition, prematurity, and infection.” To address this concern, the saving brains programs helps to address this by simple programs such as daycare for children. To address the risks of neonatal death, Grand Challenges has also funded the e-voucher program, which provides transportation to women in Kenya who have just given birth. The reverse-innovation challenge focuses on the ways in which LMICS can contribute to health innovation as well, with particular emphasis on India-based cataract surgery interventions. Finally, Grand Challenges is on the lookout for better solutions to mental health problems in LMICs, which comprise a high percentage of the global burden of disease.Overall, Dr. Singer comments, the human potential for innovation in LMIC work is huge—and Canadians in particular are in a position to make a huge difference. However, he’s not convinced that they’ve been fully enabled to do so. The newly revitalized Grand Challenges Canada institution is set to change this pattern and to mobilize the most creative and innovative Canadian thinkers. 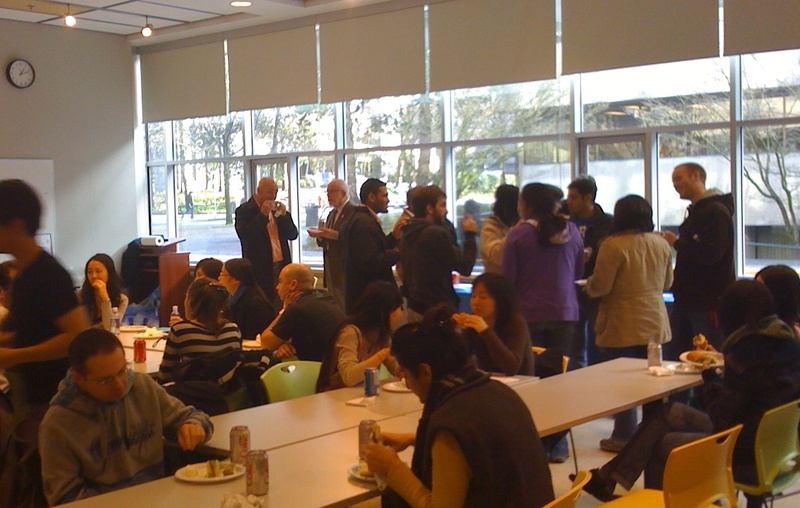 Dr. Singer met with UBC/SFU Grand Challenges Grantees earlier in the day. Earlier in the day Dr. Singer met with several Grand Challenges Grantees: left to right: Dr. Kishor Wasan, (Director of NGDI) Dr. Richard Lester, Dr. Charles Larson (Director of The Centre for International Child Health) Dr. Santi Ramón-García, Dr. Kate Tairyan, Dr. Singer, Dr. Tabassum Firoz, Dr. Hongshen Ma, Jocelyn Conway (NGDI) Dr. Christian Kastrup, and Dr. Erica Frank. 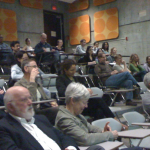 On November 2nd, 2012, Dr. Clive Ondari visited the Faculty of Pharmaceutical Sciences at UBC and spoke as part of the Distinguished Lectureship Series with the Neglected Global Diseases Initiative. 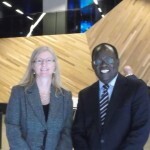 Clive Ondari, PhD, MBA, BSc, is the Coordinator, Medicine Access and Rational Use (MAR), Essential Medicines and Pharmaceutical Policies (EMP) at the World Health Organization. Dr. Ondari has been with the WHO since 1999, and was previously Associate Professor and Head of Pharmaceutics and Pharmacy Practice at the University of Nairobi. Dr. Ondari’s talk provided attendees with an overview of the obstacles to “access” to essential medicines in lower- and lower-middle income counties (LMICs). He began by taking us through the Framework for Coordinated Action which the Department of Essential Medicines at the WHO utilize in their work on barriers to access. The framework is comprised of four areas of focus, including: rational selection, sustainable financing, affordable prices, and reliable health and supply systems. All of these areas must be attended to in order for access to be achieved. Some of the most significant barriers to access involve the financing and affordability of medicines. Dr. Ondari observes that even the cheapest of generics is expensive in LMICs, as a typical essential medicine can be up to 20X the cost in Vancouver and 12X the international reference price. Due to chronic, systemic problems with the procurement and supply chain, savings in procurement are typically not passed on to savings in the end purchasing price of the drug. For instance, sixty doses of 5mg tablets of the common antidiabetic drug glibenclamide can cost an African 7 days’ worth of wages on average in order to purchase; such prices are prohibitively expensive and a pose a serious barrier to access to essential medicines. Another significant barrier to access is that of issues pertaining to the quality of the drugs in circulation. There tend to be significant problems with bio-content and dissolution rates in LMICs that are typically not experienced with drugs in higher income countries. For example, sulphadoxine, an essential antimalarial drug, has been found to have up to a 100% dissolution failure rate in random samples collected in Mozambique, Mali and Zimbabwe. 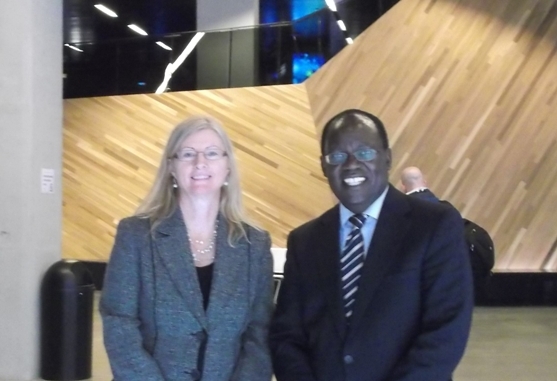 Dr. Clive Ondari and Jocelyn Conway of the NGDI-UBC. Faulty supply and delivery systems pose further barriers to access. The commodity logistics system of Kenya in 2004 is so poorly coordinated that it is not uncommon for drugs to be counterfeited or delivered on the street by lay persons, with absolutely no drug labels or directives attached to the pills being sold. 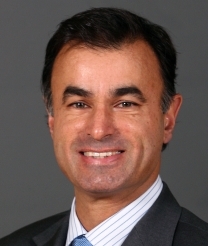 The final point that Dr. Ondari makes is that pediatric medicine is especially limited in terms of access because clinical trials for many essential medicines are rarely performed on children, so that many children in LMICs have no medication options to treat neglected diseases that cause suffering, disfigurement and even death. Dr. Ondari is interested in improving access to essential medicines by providing technical guidance to countries in developing appropriate medicines policies on affordability, availability and financing, supply management and ensuring good governance in their regulatory and supply systems, while also concentrating on the key issue of access to essential medicines for children. The Role of the Microbiata in Enteric (diarrheal) and Allergic (asthma) diseases. Dr. Finlay’s work addresses the interplay between the resident host microbiota and bacterial pathogens such as Salmonella enterica and Escherichia coli during enteric infection, and the impact of their interactions on host immune response, including inflammation. This work will translate into improvements in the management and prevention of enteric infections. Dr. Finlay elucidated the work that his laboratory has accomplished showing that differential shift in microbiata that antibiotics can induce and how microbiata itself can impact immune responses, especially a person's susceptiability to asthma. 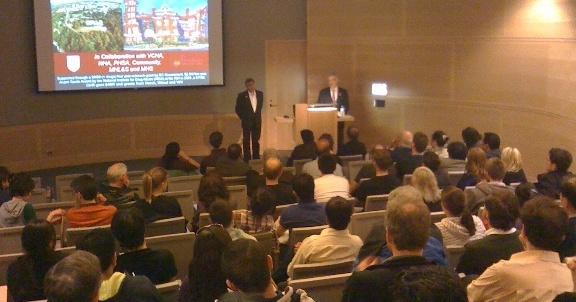 Dr. Stuart gives the 4th DLS lecture. Dr. Stuar tMacLeod spoke about the work he was doing with the UBC based International Alliance for Better Medicines for Children. The IABMC works with the International Development Research Centre, Health Canada and a host of international partners such as the World Health Organization, UNICEF, Save the Children Fund and the Bill and Melinda Gates Foundation. Their aim is to see that children in low income countries may have adequate access in future to essential medicines to reduce under-five mortality from neonatal sepsis, malaria, diarrhea and pneumonia. Children and youth worldwide lack access to adequately tested and validated treatments for even common diseases. In low income settings the situation is compounded by limited opportunities for knowledge transfer and by inadequate fiscal resources that limit access to treatments proven effective. The result is 8 million deaths each year that are considered to be readily preventable. A growing number of child health specialists, pharmacologists and pharmacists are working with governments, pediatric regulators and support agencies to address the therapeutic objectives outlined in Millennium Development Goals: Goal 4 - Reduce child mortality, Goal 5 - Improve maternal health, and Goal 6 - Combat HIV/AIDS, malaria and other diseases. 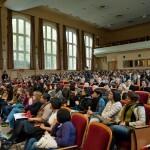 On Friday, October 21, 2011, NGDI held their third Distinguished Lectureship Seminar in the Old Auditorium on campus. 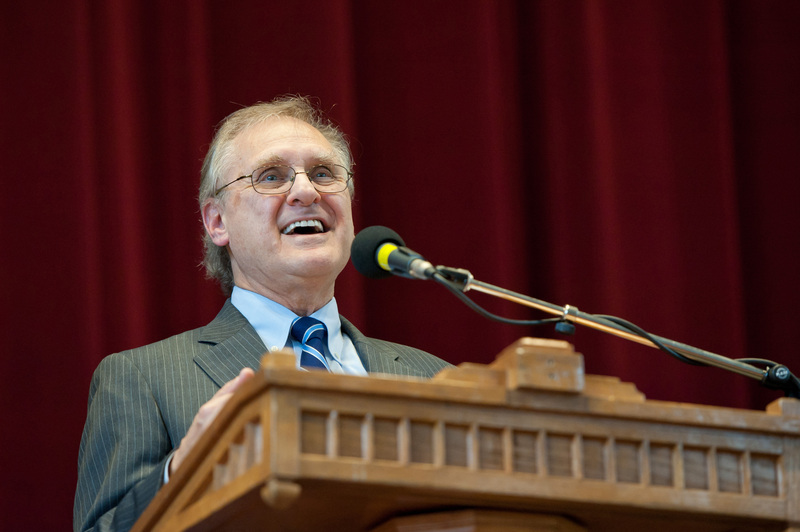 Guest speaker Stephen Lewis, co-director of AIDS-Free World, spoke for an hour on neglected global diseases, followed by a period for Q&A. 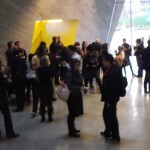 Around forty guests were invited to attend a private reception afterwards. 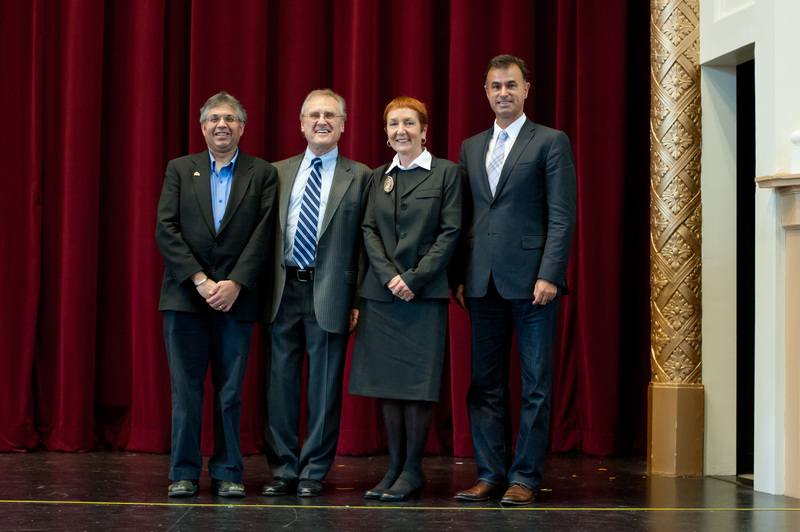 Dr. Kishor Wasan opened the third Distinguished Lectureship Seminar with the exciting announcement of the World Health Organisation’s intent to collaborate with NGDI. Helen Burt, Associate Vice President Research and International Office then introduced Mr. Stephen Lewis. In Mr. Lewis’s opening remarks, he paid honour to another NGDI Distinguished Lectureship Seminar speaker, Dr. Julio Montaner. In 2006, Dr. Montaner posited a simple idea that carried significant epidemiological weight: HIV treatment as a means of prevention. By treating HIV positive individuals and reducing their viral load, transmission could be prevented and the incidence of the pandemic diminished. 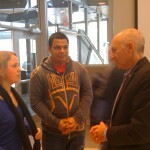 Mr. Lewis also addressed the Supreme Court of Canada’s recent decision to uphold the right for Insite to remain open. This clinic continues to afford harm reduction among injection drug use populations in BC, and its success encourages internationally likeminded public health policies to be implemented. These two examples are evidence that advocacy for health initiatives does not go to waste and highlights the importance of the research development’s role in global health accessibility. “The whole question of neglected diseases is deeply rooted in the UN’s Millennium Development Goals… of reducing the most extreme forms of poverty and hunger,” said Mr. Lewis. A commonality among all neglected tropical diseases is its grip on populations also affected by extreme poverty. Neglected diseases have a direct link and influence on poverty and vice versa; one does not exist without the other. 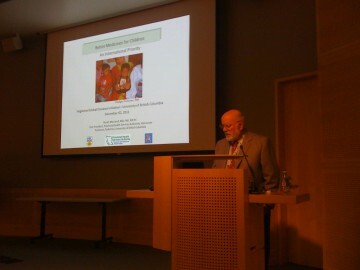 Mr. Lewis referenced a PLOS article published in May 2010 by NGDI’s Drs. Spiegel, Wasan, Yassi and Dharamsi, in which it was suggested that medical solutions to neglected diseases must also be made in conjunction with an analysis of the social determinants of health such as water, sanitation, and housing. However, Mr. Lewis remarked, despite increased global interest in communicable and non-communicable diseases, the world’s financial budget for health objectives has not responded appropriately. Today, health researchers in neglected diseases are aware that an adjunct to their research is advocacy for governments to enlarge its financial investment. Mr. Lewis approximates that because of the “huge disease burden of [major] infections and modest research and development support,” only approximately one percent of funds invested in health objectives are allocated to neglected diseases. In addition, organizations such as PEPFAR and the Global Fund for AIDS, Tuberculosis, and Malaria have become unable to continue or maintain their financial investments and major donor countries have cutback or altogether eliminated their foreign aid budgets. Mr. Lewis said the four major neglected tropical diseases that affect millions of individuals are Chagas, sleeping sickness, malaria, and visceral leishmaniasis. Although pharmaceutical companies lack the incentive to include these diseases in their R&D budgets, laudable progress has been made in the realm of academic research on untreatable communicable diseases. One example Mr. Lewis gave was the recently discovered vaccine for malaria and the success of its initial trials. 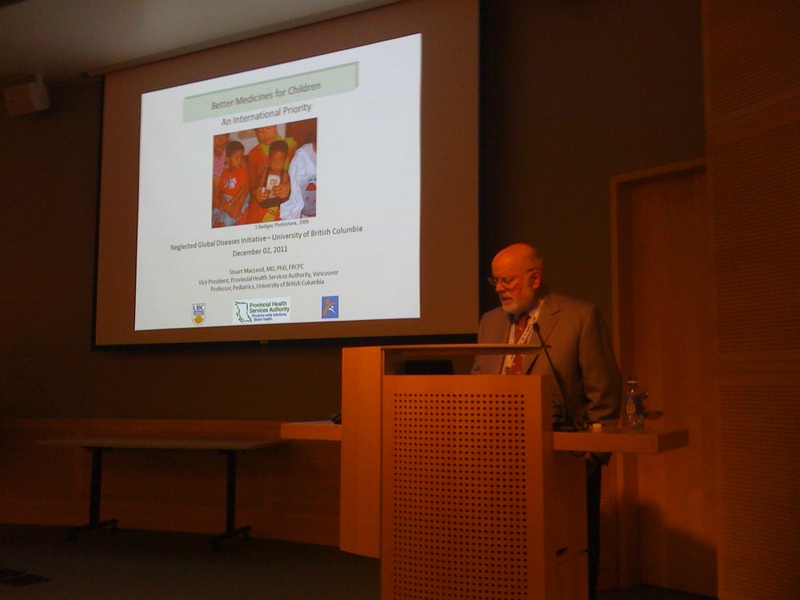 Another example was the ongoing research of Dr. Wasan and the NGDI to develop a new treatment for leishmaniasis. However, while there is significant research progress being made for untreatable diseases, Mr. Lewis questioned why treatable diseases were still killing populations of children. His answer was simple: the funding to distribute medical solutions does not exist. In addition to funding issues, the approach to treatment has been faulty in the past, and Mr. Lewis alluded to the history of HIV/AIDS, which is rife with oversight. For example, initial attempts to control the virus focused on mother-to-child transmission, which marginalised HIV positive mothers. Another example was the use of Niviapene as treatment, which later proved profoundly ineffective. Today, Mr. Lewis said, the efforts against HIV/AIDS continue to edge forward little by little. In closing, Mr. Lewis commended the University and the high calibre of research it was producing. He praised the NGDI for establishing partnerships with researchers and the industry to improve global health and accessibility for health solutions, and he encouraged the audience to become involved and persevere in this worthwhile endeavour. 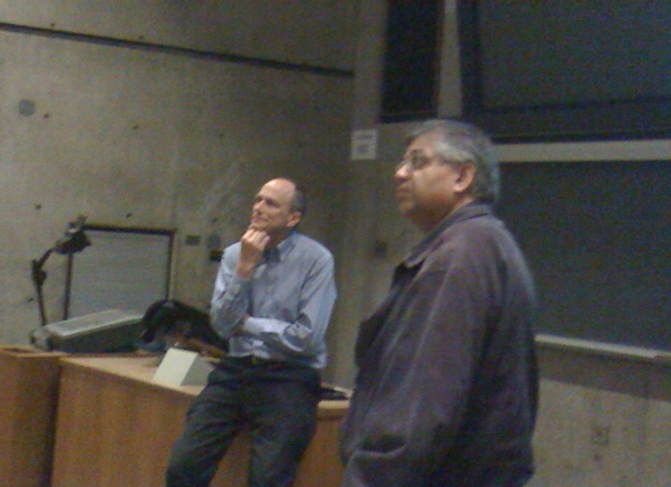 Audience members were invited to ask Mr. Lewis questions after his presentation. One question dealt with the "cost-effective" paradigm of treatment options, and whether adoption of “HIV treatment as prevention” was less ideal from that perspective. Mr. Lewis emphatically responded that it should be a human right to have the option to survive. “Cost-effectiveness is not the measure. It is perfectly legitimate to look at doing things more inexpensively, that’s fine, but it’s not legitimate to fob off human survival on a balance sheet,” said Mr. Lewis. Another question dealt with opportunities to make a difference at the grassroots level, to which Mr. Lewis suggested community health workers that visit rural patients from house to house were of vital importance. Other impactful sectors to become involved in are agriculture (food security), sanitation (building wells), education (providing materials such as pens, books, desks, even whole schools). 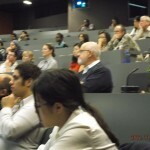 The second NGDI Distinguished Lectureship Seminar co-sponsored by the Faculty of Pharmaceutical Sciences and the Centre for Drug Research and Development was held on May 13th, 2011. 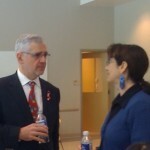 This successful seminar featured a talk by the Past President of the International AIDS Society and the Director of the BC Centre for Excellence in HIV/AIDS, Dr. Julio Montaner. Dr. Julio Montaner’s seminar titled "Treatment as Prevention: HAART expansion--a powerful strategy to reduce AIDS morbidity and mortality and HIV incidence" introduced the audience to the many different strategies have been employed in attempts to contain the global HIV pandemic so far. His pioneering theory that optimal use of HAART can decrease HIV transmission has recently been upheld by a large scale multi-country NIH study released this month. In British Columbia, HAART reduced the death rate per 1000 people from 130 in 1993 to 30 in 2003, as well as doubled the life expectancy of peopled infected at the age of 20. In addition, although there were more infants in Canada exposed to mothers with HIV in 2004 than in 1990, the number of infants born HIV positive has decreased greatly. Since viral loads provide scientists a way to predict heterosexual HIV transmissions, HAART has also been used to reduce HIV transmission risk for heterosexual couples by 92%, as well as lessen HIV incidences for injecting drug users. Beyond the local region, this strategy has achieved global impact, especially in areas such as India, Brazil, Thailand, Malawi, and Zimbabwe. In 2011, China also officially announced "HIV testing as prevention and ARV treatment as prevention" as the national AIDS policy for the next five years. In the future, Dr. Montaner will continue HIV prevention by combining methods such as structural, community, behavoural, and biomedical interventions, along with working to increase HIV testing and HAART coverage. The insightful seminar took place in the Michael Smith Laboratories Auditorium, with over 100 students and faculty members in attendance. 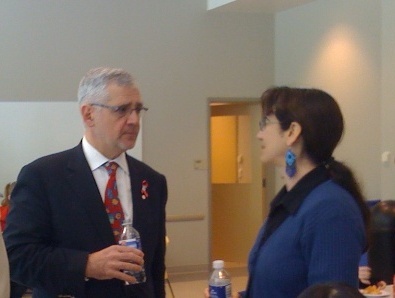 After the session and Q&A period, there was a light reception where attendees were able to speak to Dr. Montaner one-on-one. The NGDI Working Group would like to thank Dr. Montaner for taking the time out of his busy schedule to be part of our quarterly seminar series. We sincerely appreciate the tremendous strides that he has made in the HIV/AIDS community, both locally and around the globe. 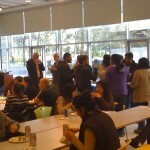 The inaugural NGDI - Distinguished Lectureship Seminar Series featuring Dr. Michael Hayden, Director of the Centre for Molecular Medicine and Therapeutics was a great success! Over 90 faculty, staff, and students enjoyed a one hour talk by Dr. Hayden as he highlighted the great work that he has been doing in South Africa and with his international Ripples of Hope Award. Michael initiated and led an international effort (although most funding was from Vancouver) to bring benefit to a community living with HIV/AIDS in South Africa. In collaboration with colleagues around the world, he spearheaded and built a youth‐friendly recreation, counseling, and Learning Centre in direct partnership with the township of Masiphumelele in Cape Town. This centre aims to promote responsible sexual behaviors among at‐risk youth, empower HIV/AIDS‐affected youth, and build a sense of self and community‐participation within the township. 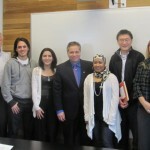 He also discussed his Ripples of Hope Award that brings international students to UBC to train as Post Doctoral Fellows. Dr. Hayden leveraged the funds ($500,000) he received as CIHR's Canada's Health Researcher of the Year in 2008 to a $3 million endowment fund that focuses on 4 themes: Global Health, Biotechnology & Entrepreneurship, Mental Health, and Rare Diseases. Dr. Hayden's enthusiasm for these projects was applauded and during the question period he eloquently reminded us that those members of the room who were born outside Canada (that by a show of hands it was more than 50%) all have contacts, no matter how small, that may be beneficial in doing work for groups like the Neglected Global Diseases Initiative. The members of the working group for the NGDI thank Dr. Hayden for taking the time out of his very busy schedule to help inaugurate our new Distinguished Lectureship Seminar Series. 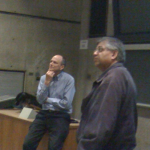 Dr. Kish Wasan representing the group presented Dr. Hayden with a gift of appreciation for his talk.